I can't believe it's already time for a January Glossybox* post! 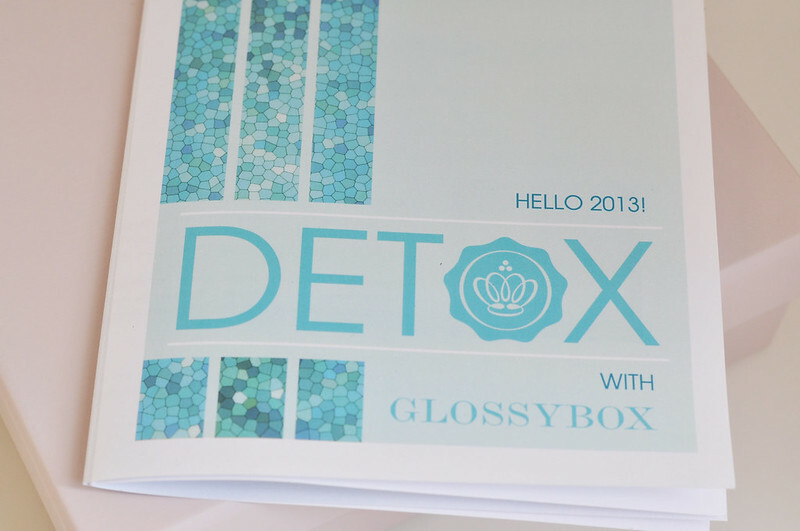 This months box is all about beauty detox. For me this is an ok box, I'm not blown away by any products but I will use everything which is quite rare with beauty boxes. Monu Micro Exfolioant - I've tried a couple of products from Monu through beauty boxes and this one sounds quite interesting. Despite having a rather large skin care collection I don't actually own that many exfoliators. Looking forward to see how this works. Premae Skincare Balance Rescue Face Tonique - This has a very nice calming and subtle scent so will be good to apply at night. It includes sandal wood, one of my favourite scents, and lemongrass. The ingredients list is very small so it seems like a good natural product. Jason Lips Bee Healthier - I've already got one of these lipbalms and love it, I think it came in a Joliebox. It smells like mint chocolate and really hydrates the lips. I'll either keep this as a backup or pass it onto my mum who loves her lip balms as well. Paul Mitchel Tea Tree Body Bar - My current L'Occitane soap is running low so I'll be using this once it's finished. It's scent is a mix of tea tree, lavender and peppermint. On the packaging it says for cleansing and shaving so will have to see how well it works when I next shave my legs. 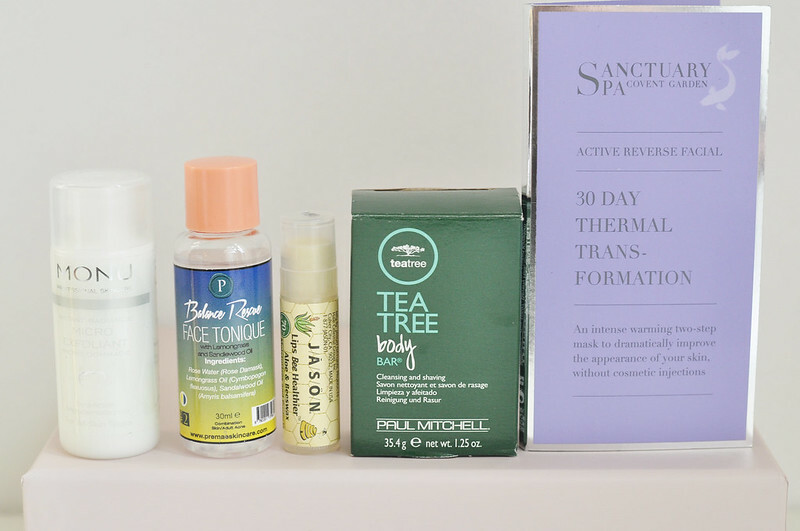 Sanctuary Spa Active Reverse Thermal Transformation Mask - As I've been loving the thermal body scrub from Soap & Glory so much I was really intrigued by this. It's a two step mask with instant results. You apply the peptide trasnformatin serum onto your skin then apply the thermal rose clay mask which heats up and leave on for 15 mins. I wonder if the clay mask will actually smell like roses! This will be a Sunday pamper treat for me. As an extra Glossybox included a really cute sleep mask which will certainly come in handy! Using anything Tea Tree for shaving is usually painful! I am not blown away by this box. But I do like that the products are aimed at detoxing. Its a good box to start the year.